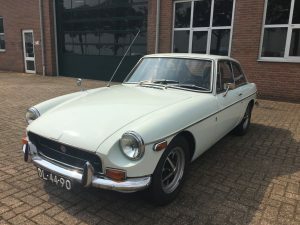 This white MGB GT was sold by us in the summer of 2018. 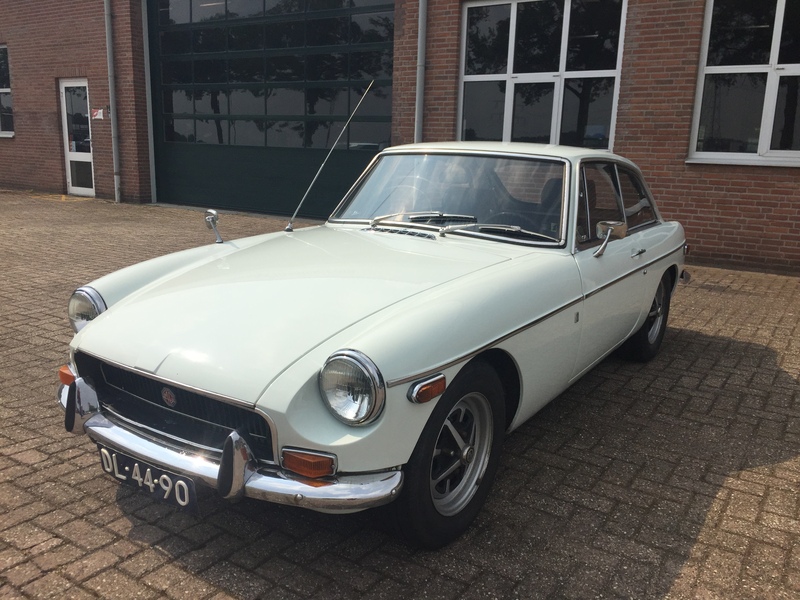 Being a 1970 model, it had the typical rare split rear bumper set up, exclusively fitted on the MGB in that one model year. This was a good driver quality car, with a few cosmetic flaws. 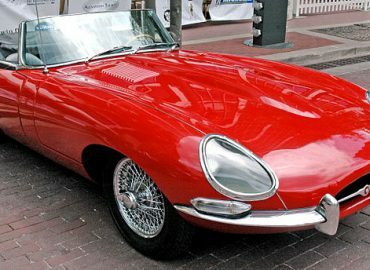 Although it was the new owner's intention to treat the car to a thorough restoration, he first enjoyed the car as a daily driver during the summer months. When autumn came, it was time to strip the car completely. The naked body was mounted onto a rotisserie before being brought back to us. 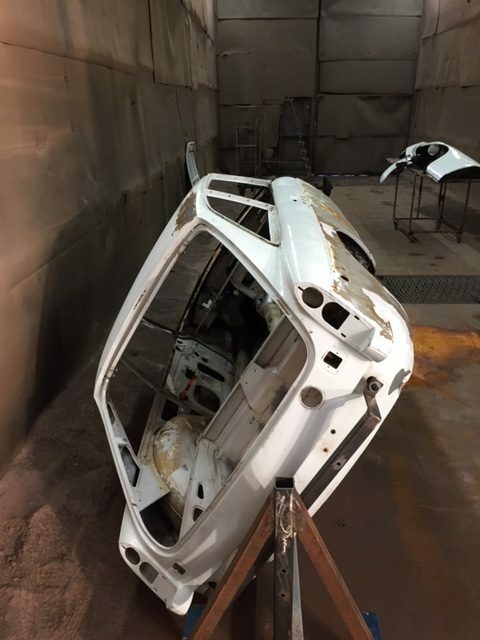 We were on a mission to get the car completely rust free. Starting by chemically and mechanically stripping paint off vulnerable areas, the car was then degreased and steam cleaned. 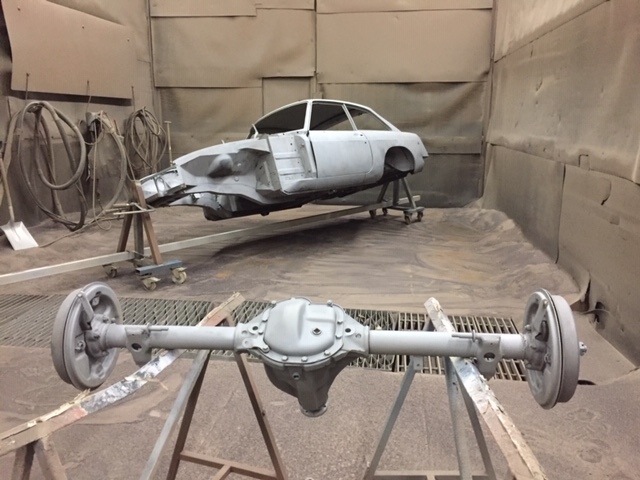 Ready for the next step: shot blasting. As expected, we did not unveil a lot of rust damage. 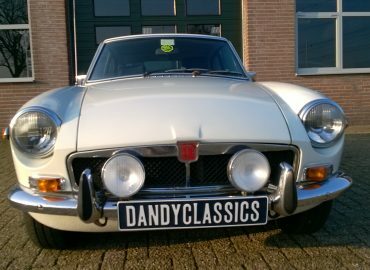 Other than the sills and lower front and rear fenders, the MG was still as good as rust free. After shot blasting, the clean metal received 2 coats of epoxy primer. This ensures a high-quality build up, while also keeping moist outside and protecting the metalwork. The owner will now proceed with welding in new sills and repair panels and rebuilding the drive train. 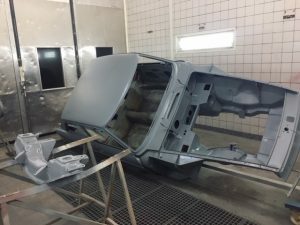 When restoring a car, it is essential to apply a durable paint system. Multiple layers of old paint will often hide rust problems or bad repairs underneath. Due to different chemical substances and levels of flexibility, these old coats often do not interact well with a new paint system. Common medium to long term problems include blistering and cracks, while chemical interaction can lead to lifting or wrinkling during the application process. 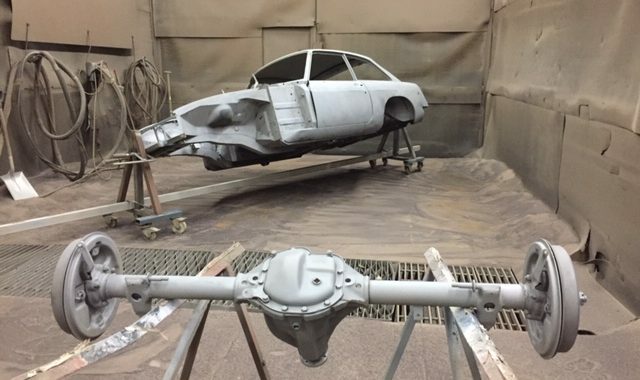 Starting with clean metal and being precise and thorough in your approach will help the DIY restorer achieve a professional, high-quality result. 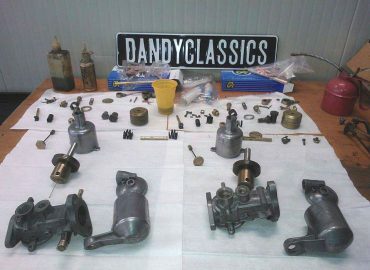 Dandy Classics can help you start off with a clean canvas for your DIY restoration. We have our own media blasting facility and paint booth. Looking for an interesting project car to restore? 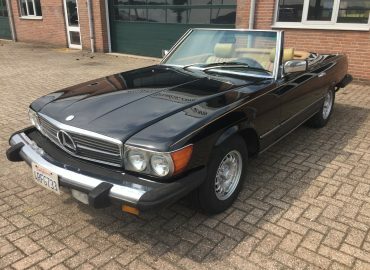 Take a look at our current collection of classic cars for sale. 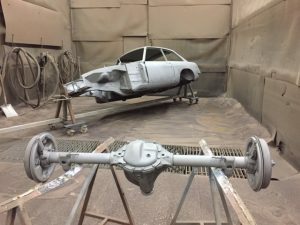 Posted in MG, MGB, Restoration and tagged media blasting, MG, MGB, restauratie, restoration, shot blasting, stralen.